Update: 25th January 2019 We've just passed 40,000 Subscribers and we've also just passed 28 Million views. Thanks everyone. Update: 28th October 2018 We've just passed 30,000 Subscribers and we've also just passed 21 Million views. Thanks everyone. Update: 29th August 2018 We've just passed 20,000 Subscribers and we've also just passed 14 Million views. Thanks everyone. Update: 12th May We've just passed our 10 Millionth Video Play on our channel and we're fast approaching 14,000 Subscribers.Awesome stuff everyone. Update: 20th March Just passed 10,000 Subscribers and 7 Million Views. Thanks everyone! Update: 7th March We've added another 1,000 subscribers to take us over 9,000 as well as passing 6 Million Video views. Thanks everyone. Update: 17th February We've added another 2,000 subscribers to take us over 8,000 as well as passing 5 Million Video views. Thanks everyone. Update: 22nd January In just 11 days, we've added another 2,000 subscribers to take us over 6,000 as well as passing 4 Million Video views. Thanks again to everyone who subscribes. If you've not already subscribed, just click this link. Update: 11th January 2018 Just 3 weeks since our last update, we've added another 1 Million View and 1,000 subscribers to our channel. That takes us past the 3 Million views mark and 4,000 subscribers count. Thanks everyone for supporting our channel. 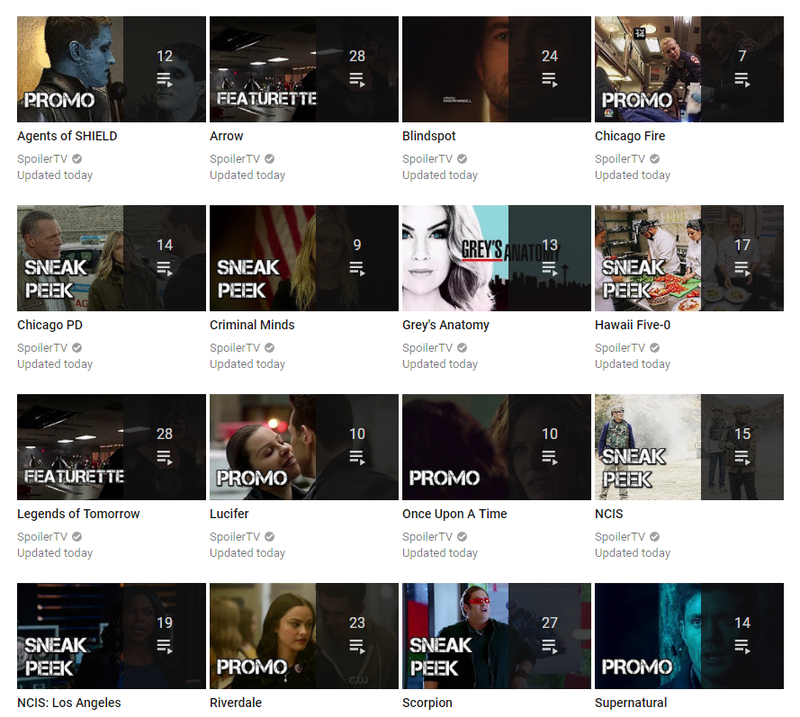 We now have Show Specific Playlists for 20+ of the most popular shows on SpoilerTV. 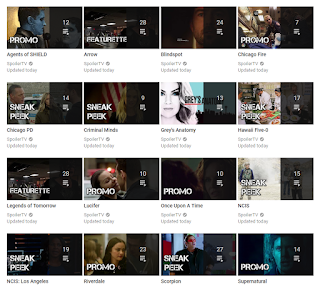 You can access the Playlists here. Update: 24th December 2017 Another big thanks to everyone as we've just passed 2 Million Views and we've also just passed 3,000 subscribers! Update: 30th November 2017 Just wanted to say a big thank you to everyone who watches our videos. In just over 1 Month we have passed 1 Million views of our videos! Here's to the next 1 Million. If you've not already subscribed, just click this link. Update: 26th November 2017 We're now up to over 1500+ Subscribers, thanks everyone. If you've not already subscribed, just click this link. Update: 13th November 2017 Just a quick thanks to everyone who has subscribed so far! We've recently just passed 1,000 subscribers since creating this just 3 weeks ago. Roll on the next 1000! Today we're officially launching our very own YouTube Channel. I know a number of you over the years have been requesting this. 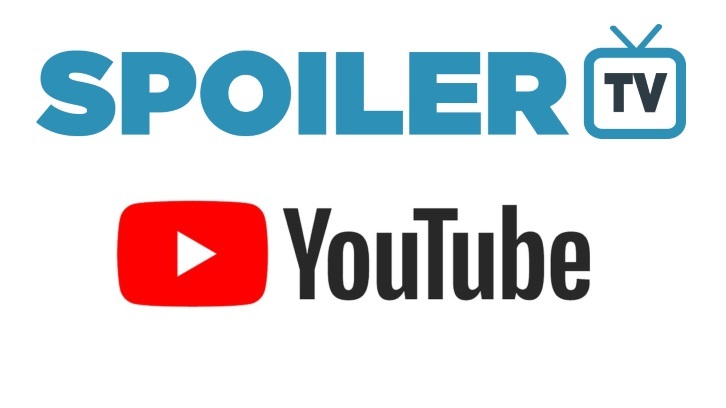 All the videos that we post in our own Playwire Video system from today will also be posted to our YouTube channel for those who prefer to watch and subscribe by YouTube. We will also be posting our own exclusive interviews, red carpet and event videos like Comic-Con etc. You can subscribe directly via this widget. and here is a fun little trailer that SpoilerTV podcaster CJ did for us a few years ago as part of us being a Shorty Award Finalist.